The simplest way to deploy a Play 2.1 application is to retrieve the source (typically via a git workflow) on the server and to use either play start or play stage to start it in place. However, you sometimes need to build a binary version of your application and deploy it to the server without any dependencies on Play itself. You can do this with the dist task. 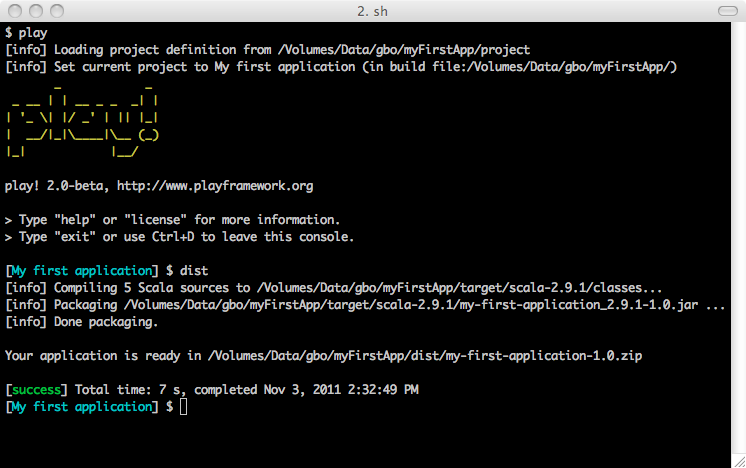 You can use the generated start script to run your application.